Microsoft is now testing Windows 10 Creators Update build 15000 (10.0.15000.1000) internally. Recently, more information related to previously tested Redstone 2 builds appears online. As a reminder, build 14997 (14997.1001) ISO leaked online with new features. 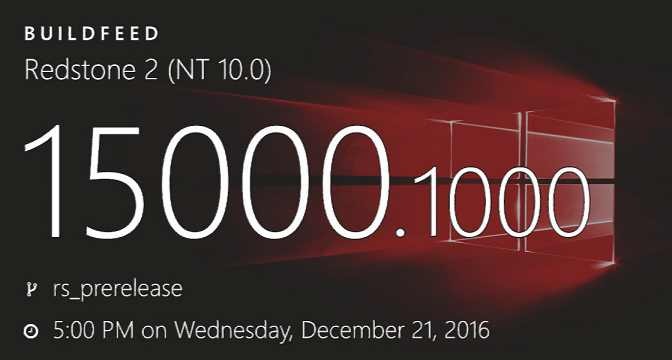 As we reported earlier, the company will release next insider build in January 2017. Meanwhile, Windows 10 build 14986 ISO is now available for download. You can download ISO from here. Also, cumulative update KB3206309 build 14986.1001 is now available for Insiders members.